recipes with ingredient baking powder. 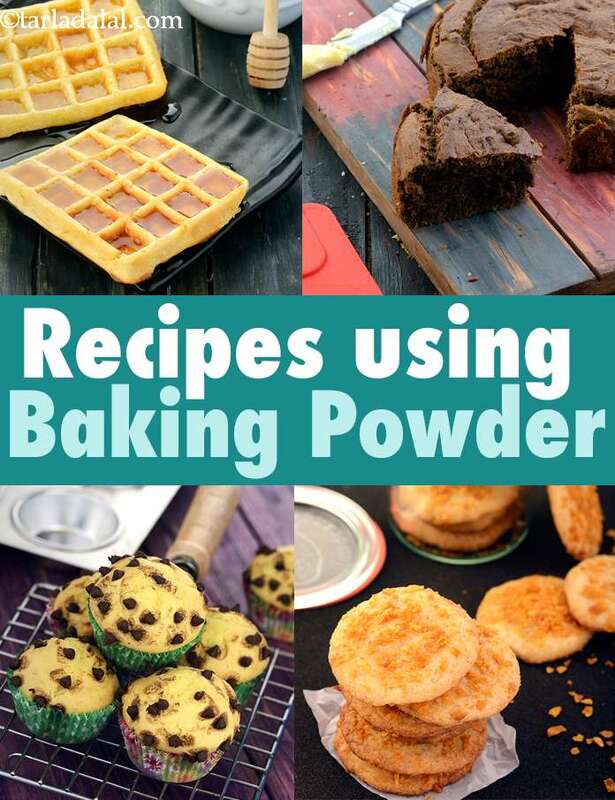 recipes using baking powder. It is a fine white powder that is used as a leavening agent which basically means it incorporates air into the food by creating a foaming action. It is also known as a raising agent by many. Baking powder creates bubbles in the batter it is added to and by doing that it incorporates air into it. It is a combination of an acidic ingredient and baking soda which results in this combination. It is mostly used in cakes and sometimes as a replacement for yeast in baked goods. It is necessary to add baking powder only according to measurements or else it will fall flat and become too dense. One also needs to be careful about whether the dish has any acidic components. If it does, then the quantity is to be reduced accordingly. Baking powder is one of the most important ingredients in all types of sweet baking including Cakes and pastries. The most common things made like this are Eggless Chocolate Cake and Vanilla Sponge Cake. Not only does baking powder work for making ovens but it also works for pressure cooker cakes. Muffins get the perfect fluff and rise because of baking powder. Without this ingredient the cakes would be very dense and hard, without any airiness or fluff that is needed in cakes. A little bit of the powder is added to pancakes and waffles to make them soft and fluffy form the inside. Apart from these, it forms an important part of various biscuit and cookie recipes as well. Just like baking powder is used for sweet pancakes it is also used for savory pancakes like Green Moong Dal and Carrot Mini Pancakes. It is added to dipping batters like that of Onion Rings which makes the batter lighter and fluffier and not flat. We also add baking powder to make spongy uttapas and soft bhaturas. Enjoy our recipes with ingredient baking powder, recipes using baking powder given below.